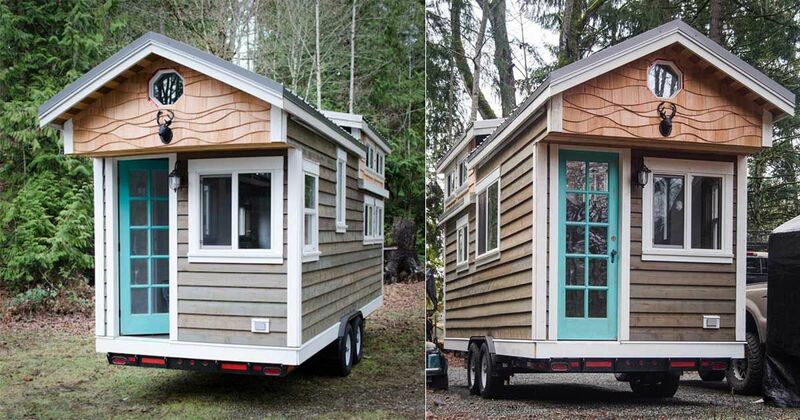 Besides the freedom to go anywhere and the obvious lower mortgage and utility bills – one of the biggest allures of a tiny house is less energy consumption and thus a reduced carbon footprint on the environment. 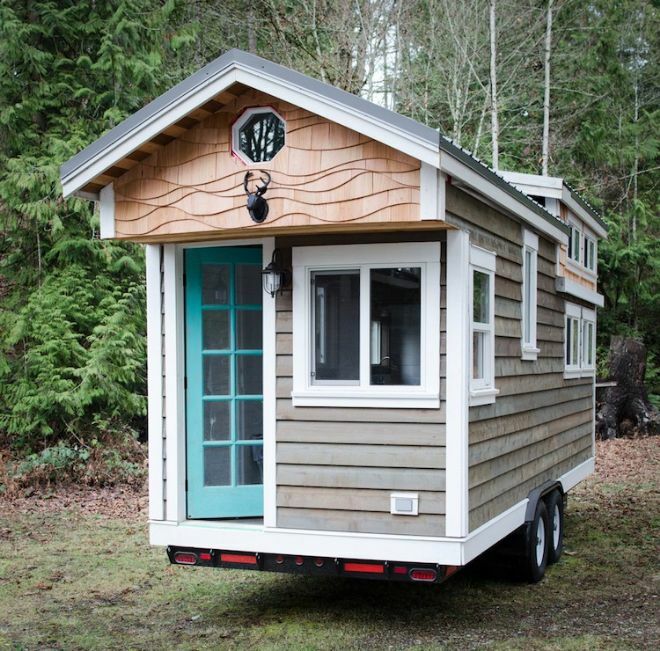 Many tiny homeowners feel that being eco-friendly is not something that a tiny home should implement not when it is lived in, but when it is being built as well. 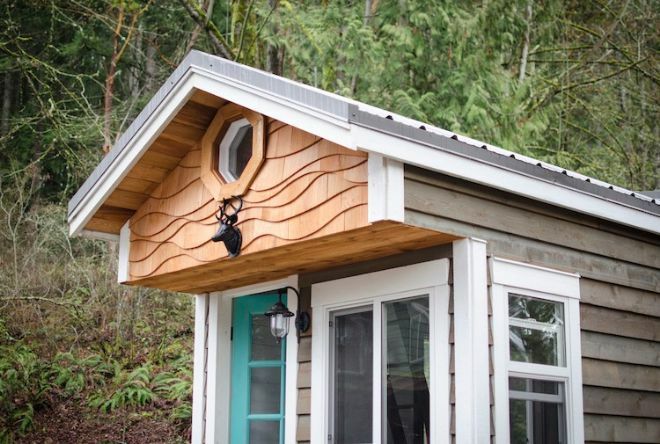 This is the main premise behind the Sustainable Cabin from Rewild Homes. 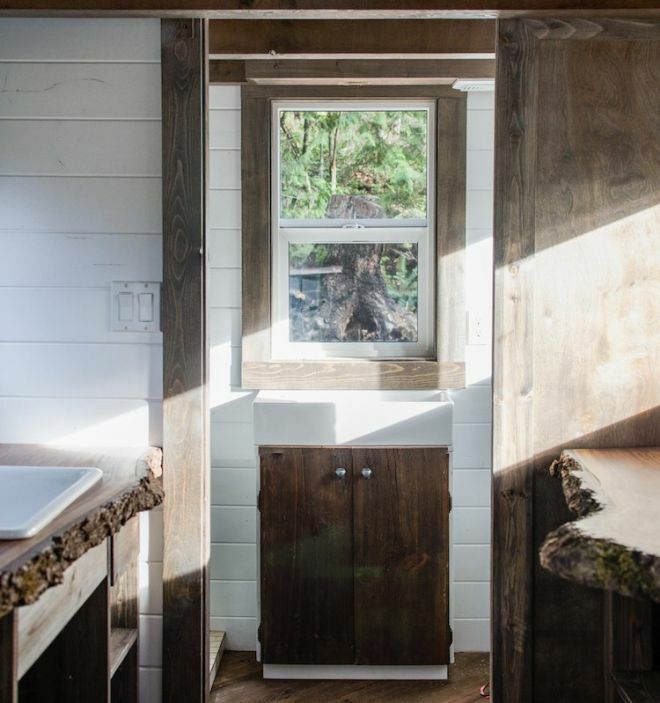 From 100-year old reclaimed barnwood floors to a black walnut slab countertop to using stains and varnishes that don't give off gases the Sustainable Cabin is built with attention to the environment in mind. 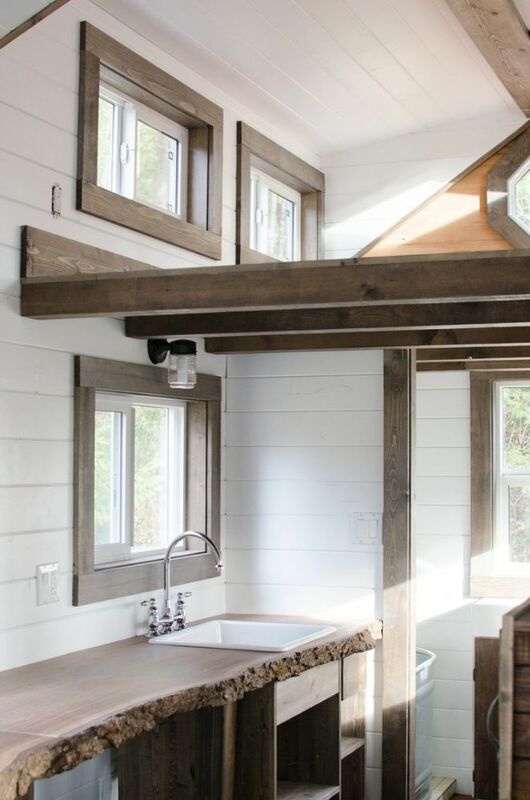 These features are not only eco-friendly, they add a rustic, woodsy feel that creates a unique ½ craftsman, ½ log cabin style tiny home. 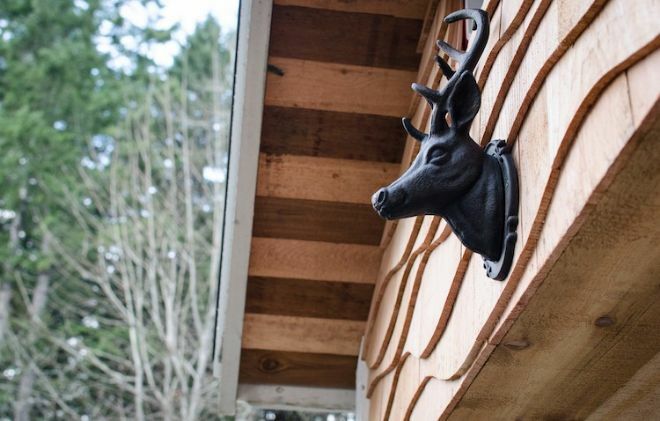 The wood contrast on the front overhang of the home sets the stage for the style and feel of the house and the mounted deer head statue eliminates any of the doubt. An octagon shaped window adds a unique curb appeal while also allowing natural light into a loft behind. The view from the front door shows the obvious focal point of the Sustainable Cabin - the long, live-edge walnut counter. 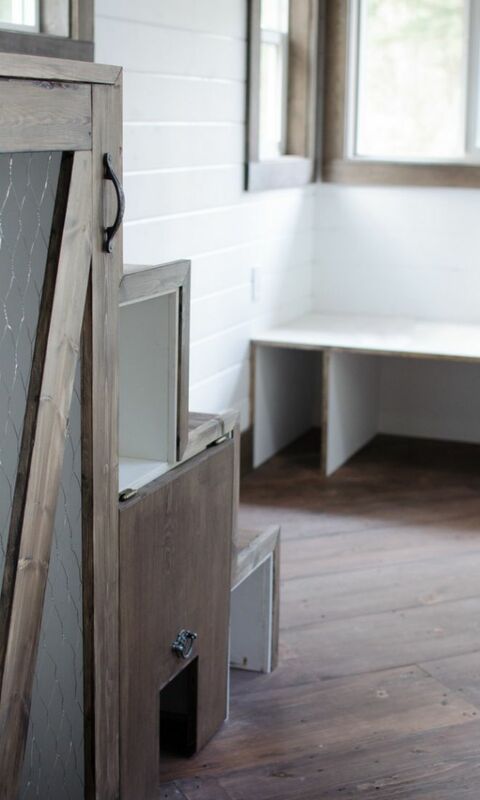 It is an exclusive design that adds a lot of functionality to the home although some people might say it comes at the price of lounging and recreation space. Like much of the home the kitchen sink area is well-lit and the white porcelain contrasts nicely with the maple countertop. A shower area sits behind the adjacent wall as well. The bathroom is situated in the very rear of the home. A shower is situated to the left and a toilet to the right with a sliding door providing privacy. 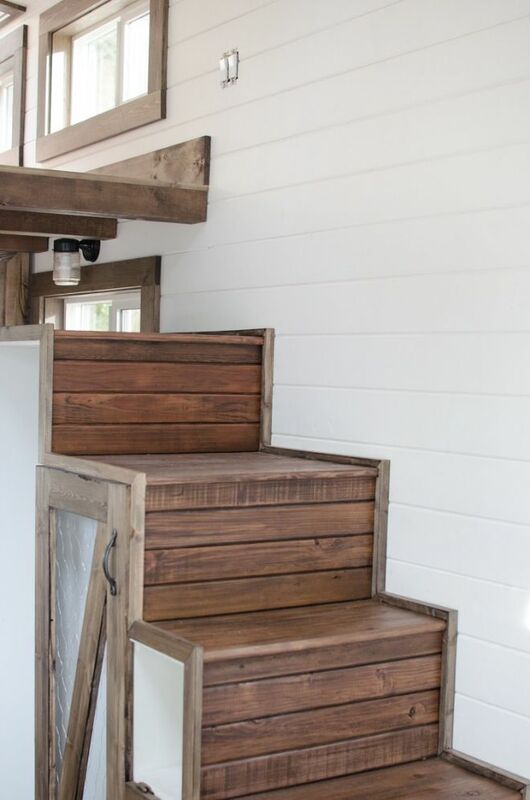 The steps leading to the loft offer the dual functionality of having added storage underneath. In the background you can see a bench that can be outfitted with cushions to serve as a sort of lounge area. 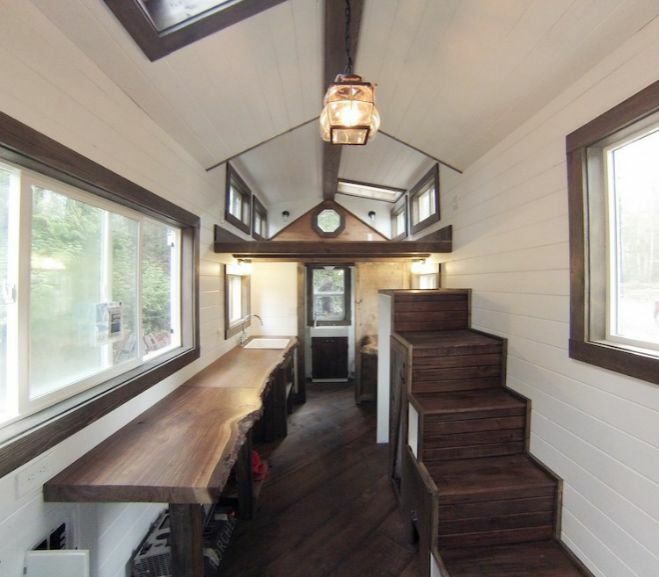 A better look at the front of the home shows the bench seating area with a fold down table that can be used for eating or working on the laptop. There is also the ladder access to the secondary loft situated above the entryway. 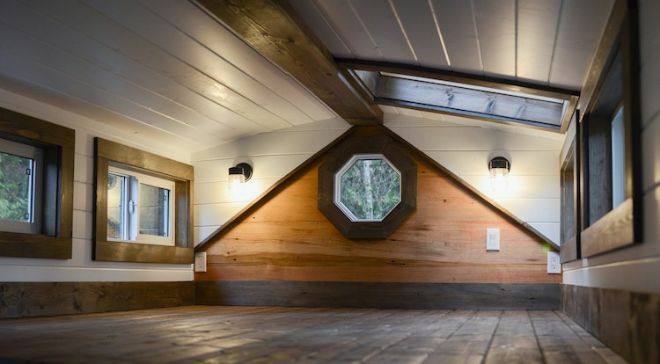 The main loft hangs over the rear of the cabin and is very spacious with loads of light and ventilation from the side windows and the open front, not to mention a skylight in the ceiling. 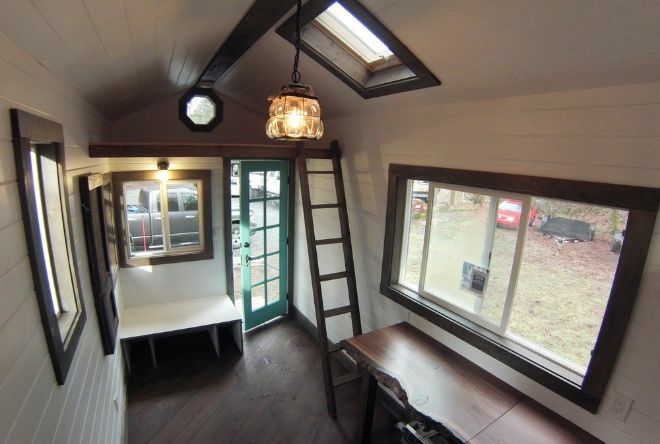 A rear octagon window matches the one the front of the home and creates a cozy atmosphere. 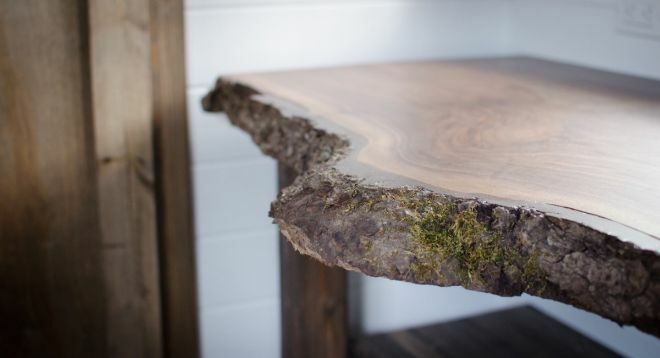 A lot of craftsmanship has gone into the Rewild Homes house to ensure it is sustainable, stylish, and functional. From the looks of things it's safe to say their mission is accomplished.